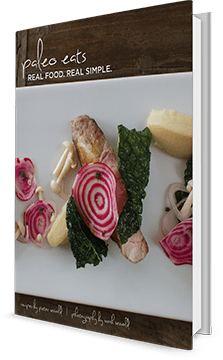 This marinade recipe is great for any leftovers!! First mix all marinade ingredients (coconut aminos, sesame oil, olive oil, white wine vinegar, 5 spice powder, and fresh pepper). Feel free to experiment with the ingredients and make it suit your tastes. Then julienne carrot and thinly slice scallions, and add to mixture. Add in sesame seeds and stir to coat. Add pulled pork to marinade making sure to fully incorporate the marinade into the pork, and let sit for at least 1 hour. Wash and rinse belgian endive. Carefully remove leaves one at a time and set aside. 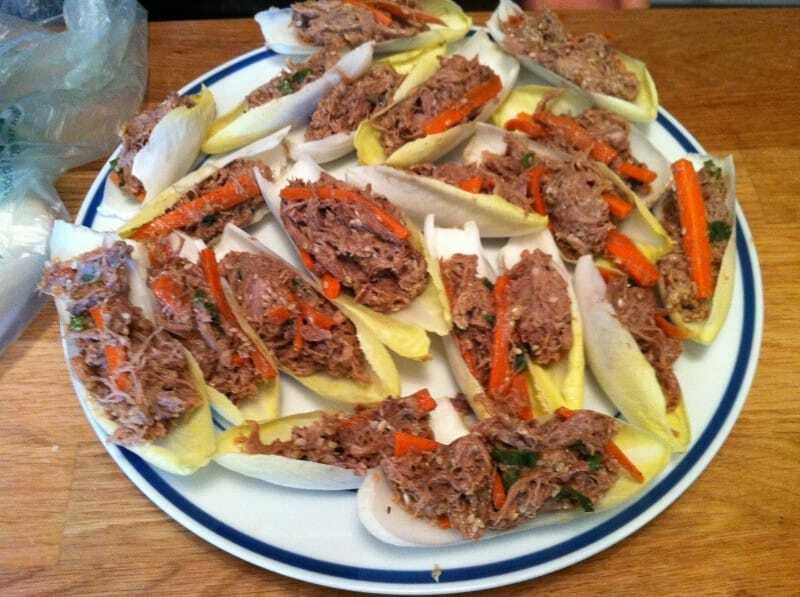 When ready to serve, scoop pork into endive "boats", plate, and enjoy! Super nomz!